Blew a performance tire on my Benz before Merritt. 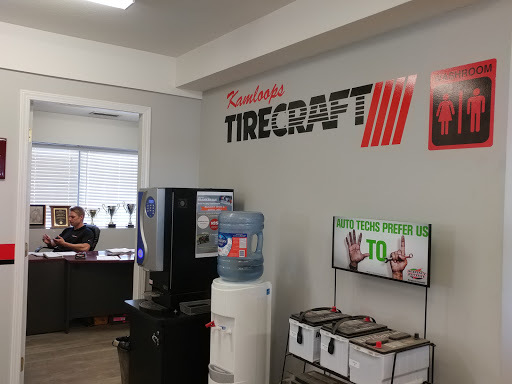 Checked everywhere and multiple towns and only tirecraft in kamloops was able to get me my special tires and back on the road in a few hours. And that is with getting tires from kelowna shipped in. Didnt even rook me knowing the position I was in. Recently came in to change over both of our vehicles, get oil changes and purchased one new set of tires. Our experience with the staff and service we received was excellent. I would highly recommend seeing them for tires and mechanical work. Ive been going there for over 15 years now and they are the best. Always accommodating and they give good advice. They will not rip you off. Thanks guys!